Dr. Mark Hyman is one of the most well-known names in the functional medicine movement. He is a practicing physician, a 10-time New York Times bestselling author, and an internationally recognized leader, speaker, educator, and advocate. He's recently published a new book called, FOOD: What the Heck Should We Eat? In it, he cuts through the confusion of conflicting dietary studies, and tries to simplify healthy nutrition choices. 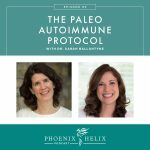 He has coined the term “peganism” and in this podcast, we talk about what that means, alongside other tips for autoimmune health. I'll soon be updating my selections for the Phoenix Helix Pack for Spring. This is your last chance to grab the Fall/Winter pack before it's gone. It includes: Original Shepherd's Pie, Pastured Chicken Bone Broth, Elk Burger with Wild Mushrooms, Beef Breakfast Empanada, Turkey Tetrazzini, Butternut Squash Bisque, Lemon Dill Avocado Sauce, and Organic Collard Greens with Smoky Bacon. Added bonus: it's discounted $14.47! 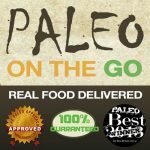 Every week, I host the Paleo AIP Recipe Roundtable on my website, where bloggers share their latest recipes. It's a great way to keep boredom out of your kitchen! If you don't want to miss out, subscribe to my weekly newsletter. 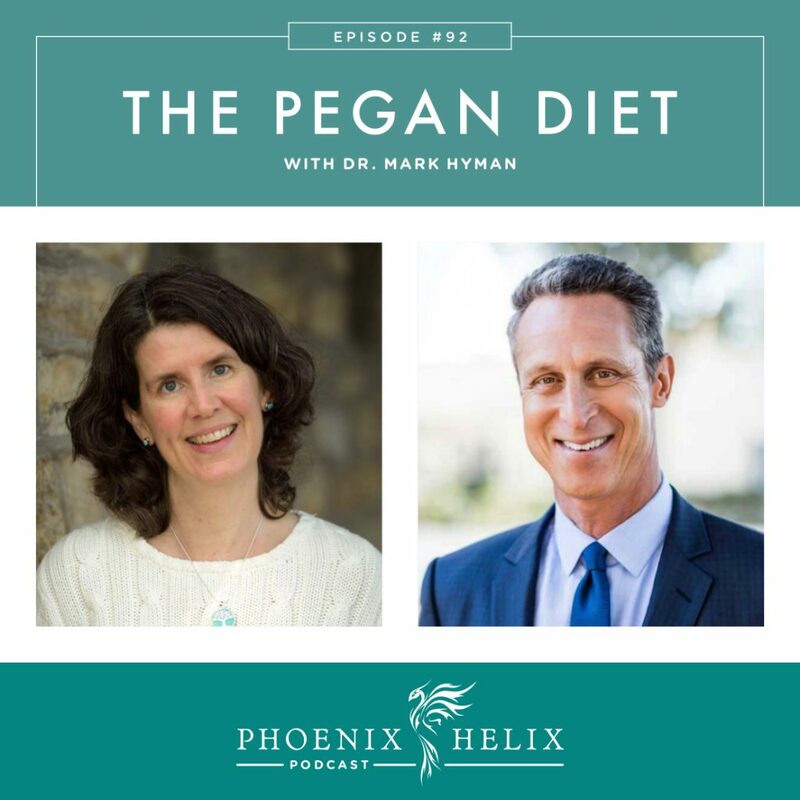 Dr. Mark Hyman is a practicing physician, a 10-time New York Times bestselling author, and an internationally recognized leader, speaker, educator, and functional medicine advocate. He is a Chairman of the Institute for Functional Medicine, Director of the Cleveland Clinic Center for Functional Medicine. He has had two severe health crises in his own life. The first happened over 20 years ago, when mercury poisoning led to symptoms of chronic fatigue, myositis, digestive issues, insomnia, and trouble with mood and cognitive function. That's what actually led him into the field of functional medicine. When conventional medicine didn't improve his symptoms, he had to look elsewhere. His second health crisis happened a year ago. He had a number of things happen at once: mold exposure, a root canal infection, a bad reaction to the antibiotics, and a resulting C. difficile infection. He ended up being bedridden for 5 months. His normal interventions didn't restore his health, so he pursued some more aggressive treatments that eventually got him back on his feet. These included ozone therapy, hyberbaric oxygen therapy, IV vitamin C and glutathione, and stem cell treatment. Named for the intersection of Paleo and Vegan diets, it's Dr. Hyman's food recommendations for optimal health. 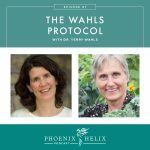 It's very similar to Dr. Terry Wahls and Dr. Sarah Ballantyne's recommendations. Focus on nutrient density, and avoid inflammatory foods. Eat a low-sugar, low-glycemic diet. 1/2 to 3/4 of your plate should be filled with vegetables. Avoid refined and processed oils, and choose healthy fats instead: olive oil, ghee, coconut oil, avocados, nuts, seeds, and the fats naturally contained in pastured eggs, grass-fed meats, and low-mercury seafood. Include 4-6 ounces of high-quality protein at each meal. Ideally choose foods that are organic, local, fresh, and low in pesticides, hormones, antibiotics or GMOs. No chemicals, no fake food. There are 3,000 chemicals currently allowed in processed foods. Dairy isn't a health food. If you choose to eat it, grass-fed or goat dairy are the best choices. Nuts and seeds are healthy options. If you eat grains, choose gluten-free. If you eat legumes, keep quantities small. Modifications for autoimmune disease: No grains. No legumes. No dairy. And an elimination diet like the AIP might be helpful. This is a template. Personalize the diet for you. Too many paleo packaged foods. Too much meat and not enough vegetables. Caveman often ate up to 800 species of plants each year. Treat meat like a condiment. Resource: A to Z Vegetable Recipe Roundup. Eat 4-6 ounces per meal (filling the rest of your plate with vegetables and a little healthy fat). High quality protein sources: grass-fed meat, pastured poultry, low-mercury seafood, pastured eggs, and small amounts of nuts and seeds. 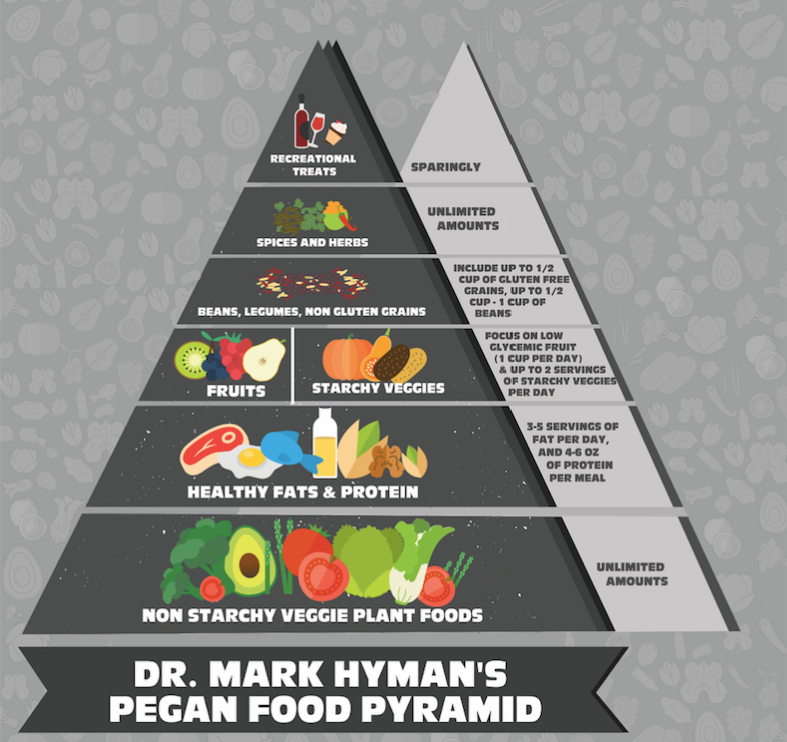 When you hear Dr. Hyman say he only eats 4-6 ounces meat daily, he meets the rest of his protein needs from the other categories, being sure to get adequate protein at every meal. A wide diversity of vegetables. Eat the rainbow. Fatty fish high in omega 3 fatty acids: sardines, mackerel, herring. Herbs and spices, especially garlic, ginger and turmeric. 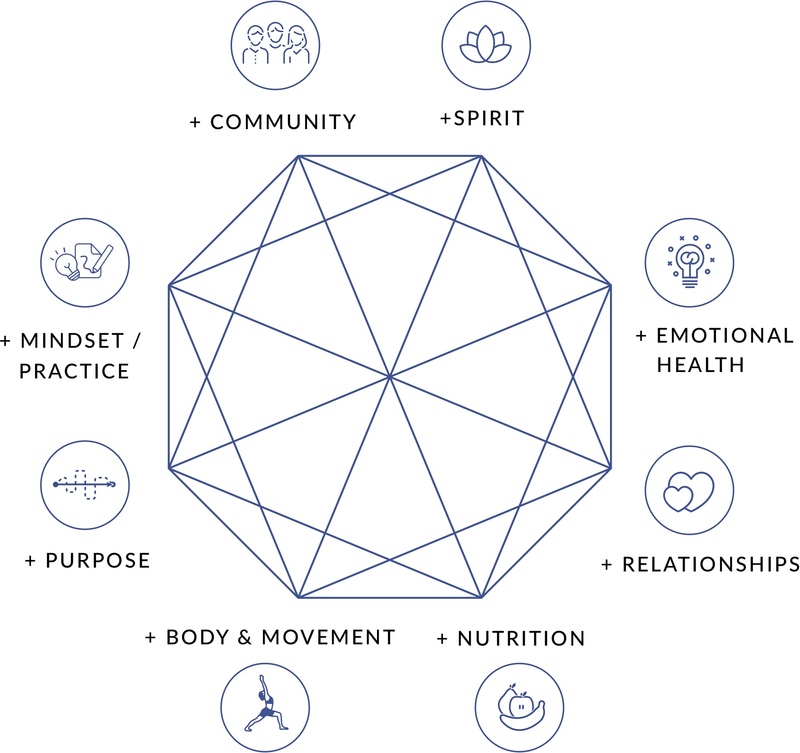 A diagram created by Dr. Hyman and his team, it includes 8 aspects to a balanced and healthy life: Nutrition, Body & Movement, Purpose, Mindset, Community, Spirit, Emotional Health, and Relationships. We plan our vacations better than we plan our lives. The more we structure our life to support our health and remove influences and obstacles that derail our health, the easier it is to maintain health. This is the secret to healthy habits. For example, if you stock your kitchen with healthy food and remove the unhealthy choices, it's easier to maintain a healthy diet. When it comes to exercise, what do you enjoy, and where is the easiest place to fit it into your schedule? Do you structure your evenings to help you sleep, or do things that keep you up? Etc. The Feel Good Wheel can be a great exercise in self-reflection. Where are your self-care practices strong? Which need work? It will be different for each one of us. If you feel overwhelmed, Dr. Hyman recommends starting with food, because a good diet affects change in every area on the wheel. Then, when refining your health, you can choose small steps in other areas that over time can lead to larger changes. The Feel Good Summit is an immersive retreat June 7-10, 2018. It will focus on all of these aspects of health. Functional medicine looks for root causes, rather than symptom suppression. The causes are different for everyone, so the top tests Dr. Hyman chooses depends on the patient's history and symptoms. Diet: especially intolerance to gluten and dairy, but also grains, legumes, and nightshades. An AIP elimination diet can be helpful in isolating food sensitivities. Microbiome health: 60% of the immune system lies in the gut, so leaky gut, gut infections, overgrowth, and gut inflammation can all kick the immune system into overdrive. Toxins: such as heavy metals and pesticides. A doctor who listens and cares, and takes a detailed health history to discover each patient's story. A client who is willing to change, and is committed to following the treatment plan. In functional medicine, it's about making life changes, not just taking a pill. Resource: Episode 67 – Building Effective Doctor-Patient Relationships. Nutrition studies are often funded by food companies looking for a specific result. Food lobbies have a huge influence on government food policy and diet education, often contrary to what the science says. There's also a wide variety of quality among scientific studies, and very few prove cause and effect. Most studies on nutrition show possible association and correlation, but there are multiple variables. Nutrition headlines rarely tell the whole truth. 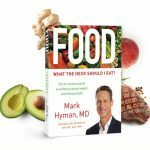 In his book, FOOD: What the Heck Should I Eat?, Dr. Hyman evaluates the science for each food group and shows what has been proven, what hasn't, and guides people to make the healthiest choices. You can learn more about Dr. Hyman and the resources discussed today through his websites: Dr. Hyman, the Feel Good Summit, and Food the Book. While he is no longer accepting new patients, you can work with his colleagues at The Ultra Wellness Center.